The ancient port of Kos town, the capital and major town on the island of Kos, has been home to various invaders over the centuries and most have left their mark on the town, the most striking of which is the 15th century castle built by the knights of St. John. 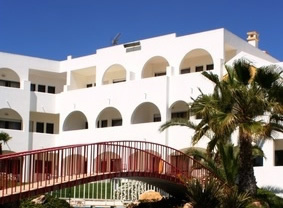 Over more recent times there has been plenty of tourist development, with apartment blocks stretching out to the suburbs of Lambi and Psalidi. Kos is a cosmopolitan town with a good mix of culture and entertainment. There is a busy nightlife with no shortage of bars and a range of restaurants from English-style cafes to local tavernas, many of which are situated around the old harbour area overlooking traditional fishing boats and sleek yachts or concentrated around the main square home to dozens of bars and tavernas along with half-a-dozen nightclubs. Further out from the centre of town more peaceful evening pastimes can be found. The main beach in town is a fairly narrow, shingle affair packed with beach chairs and umbrellas, but there are better beaches a short bus journey away. Kos Town is perfectly situated for taking boat trips to Turkey and the nearby islands. Also there are plenty of historical sites within easy walking distance of each other and if you would like to see a sample of antiquity and the wonders that Kos has to offer, make a stop at the Archaeological Museum, located at Eleftherias square, exhibiting a wide collection of archaeological treasures, such as the mosaic of Hippocrates, the Hellenistic sculptures of Aphrodite, Eros and one believed to be of Hippocrates himself.